"Wordsworth, William," in Dictionary of National Biography, London: Smith, Elder, & Co., (1885–1900) in 63 vols. 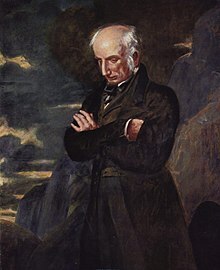 Wordsworth, by John Greenleaf Whittier. Poetic Lamentation on the Insufficiency of Steam Locomotion in the Lake District by J.K.S.